A forest fire near Salisbury was contained by air and ground crews on Tuesday. 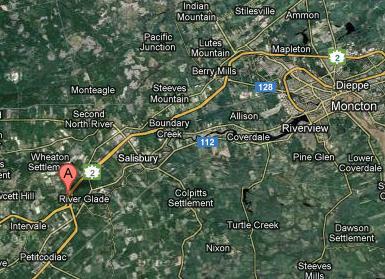 The Department of Natural Resources says the fire began around 2pm and spread in a wooded area off River Glade Road. DNR crews and local fire crews from Salisbury and Petitcodiac fought the blaze which grew to about 10 hectares in size. Although the blaze did not threaten any homes, some reports say it did destroy a barn. No word yet on a cause but this spring has been dry and all of New Brunswick is currently under a “no burn” order.